In April I was fortunate to attend Sewtopia Atlanta. I had a great time and attended two great workshops. One with Elizabeth Hartman and another with Denyse Schmidt. Denyse taught a new method for her Single Girl pattern called Freewheeling Single Girl. Fewer template pieces are required for the freewheeling version. I've been busy so it's taken me a while to work on it but I'm pleased to say that I'm ready to assemble the blocks to complete the pieced top. The fabrics are Kona Solids and Carolyn Friedlander prints from several of her fabric lines including Carkai. I'm still busy so there is no guessing as to when I'll be finished, but that's alright, this isn't a quilting race, but I continue the struggle to find more time to quilt. 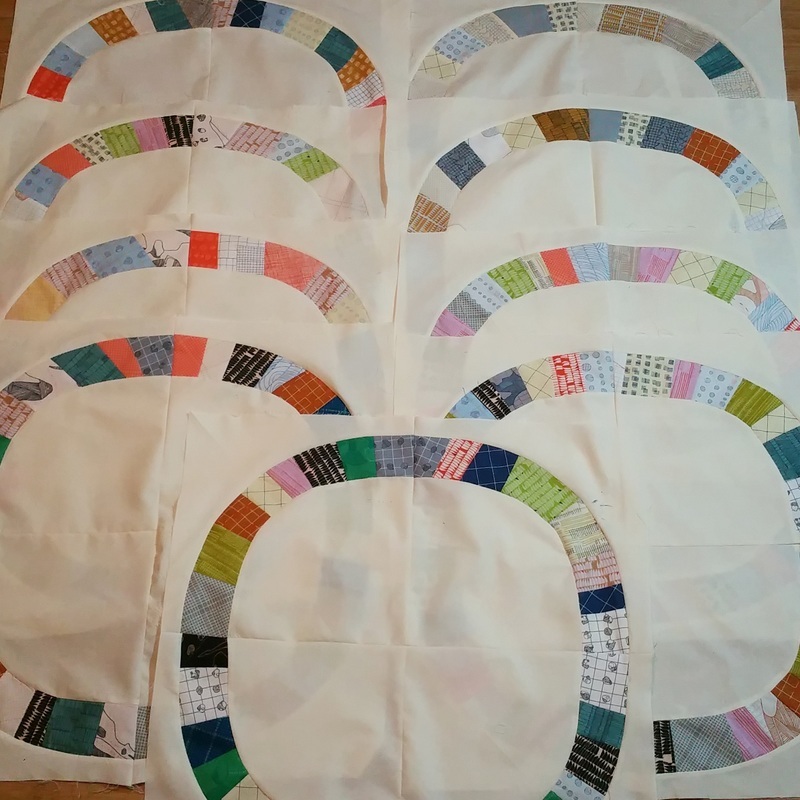 How do you work more quilting time into your busy schedule? Your comments are welcome and appreciated. Thanks for stopping by and have a happy day! I plan on being an infrequent blogger, so if you subscribe to my blog I won't be bombarding you with a bunch of content. If you've read this far please leave a comment or just say hi. I appreciate you stopping by.